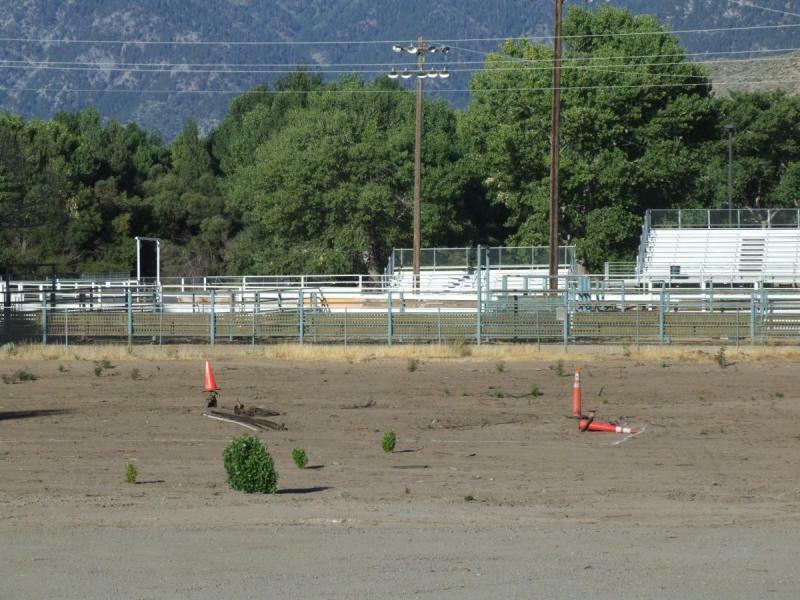 We’re all used to seeing roadside memorials, those spontaneous little shrines that pop up next the spot where someone has died in a car accident. And we’re so used to seeing them that we don’t really look anymore, just glance out of the corner of our eyes. 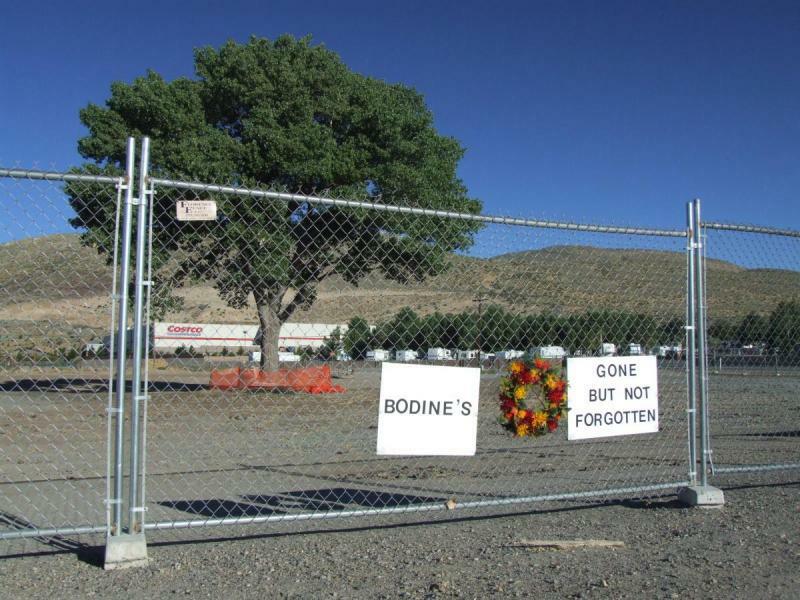 “Bodine’s. Gone But Not Forgotten.” This memorial was put up in the last couple of days on the fence surrounding the empty lot that used to be Bodine’s Restaurant. I guess there are some fans of the steakhouse out there that are lamenting its passage, and thought it fitting to erect a memorial. Soon the builders will move in and start work on the new casino that’s going on the site, but for now this memorial serves as a reminder of what used to sit on this empty corner.